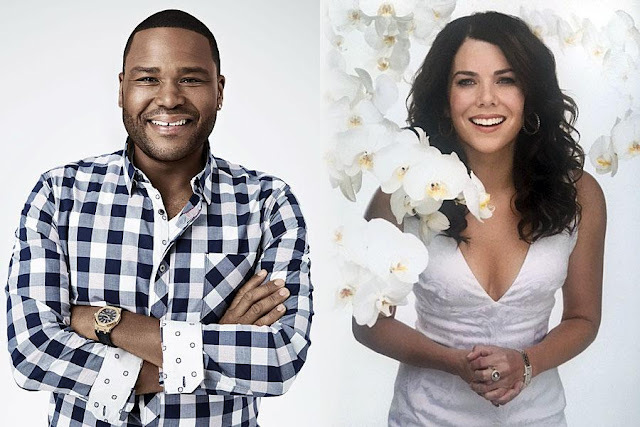 Anthony Anderson and Lauren Graham will announce the nominations for the 68th Primetime Emmy Awards from the Wolf Theatre on Thursday, July 14 at 11:30 a.m. ET/8:30 a.m. PT. The next big awards show season is upon us. Next up: The Primetime Emmys. Anthony Anderson and Lauren Graham will announce the nominations for the 68th Primetime Emmy Awards from North Hollywood on Thursday, July 14 at 11:30 a.m. ET/8:30 a.m. PT. Television Academy Chairman and CEO Bruce Rosenblum will join Anderson and Graham from the 600-seat Wolf Theatre at the TV Academy's newly-opened Saban Media Center. You can watch them live right here on TheGoldKnight.com. First-round voting for nominations started June 13. More than 20,000 members of the Television Academy have until June 27 at 10 p.m. PT to cast their vote. The nominations will come 17 days later on July 14. Continuing the trend started last year, Hollywood will get to sleep in — with nominations being announced three hours later than previous years — at 8:30 a.m. PT, instead of 5:30 a.m. The 68th Emmy Awards, hosted by Jimmy Kimmel, airs live Sunday, September 18 (8:00 PM ET / 5:00 PM PT) on ABC and will originate from The Microsoft Theater (formerly Nokia Theatre L.A. LIVE) in Los Angeles. Don Mischer will serve as executive producer for the telecast.